Khoya is an essential ingredient while making most Indian sweets. It is easy to make but it takes time if you are making it from regular milk. 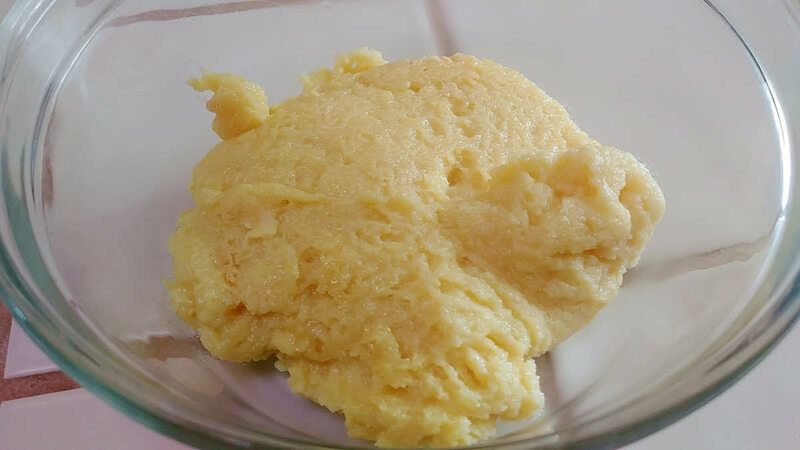 So if you want to make khoya quickly, try making Milk Powder Khoya, it is easy to make and you can make it in minutes. Heat butter in a pan to melt it. Make sure that the heat is low otherwise the butter may burn. Once the butter is melted, add cream and milk and boil them together on high heat. Keep stirring so that it does not stick to the bottom. Now add milk powder and turn down the heat to medium. Mix milk powder in milk and cream and keep stirring. It may form some lumps initially, keep mashing them with spatula. Slowly the milk mixture will start to thicken. Once it comes together and starts to leave the sides of the pan, turn off the heat and Milk powder khoya is ready.